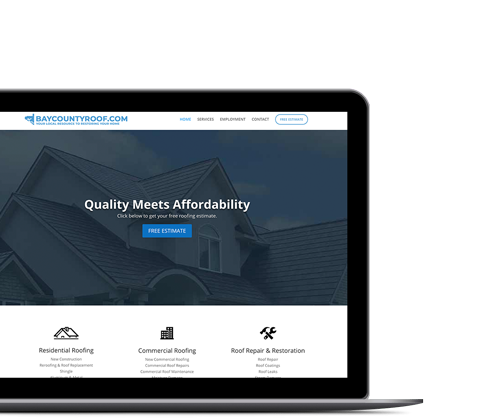 Extensive education and professional experience in technical industries and construction has seated Taylor Digital Solutions as the marketing and web design authority for small businesses in this niche. 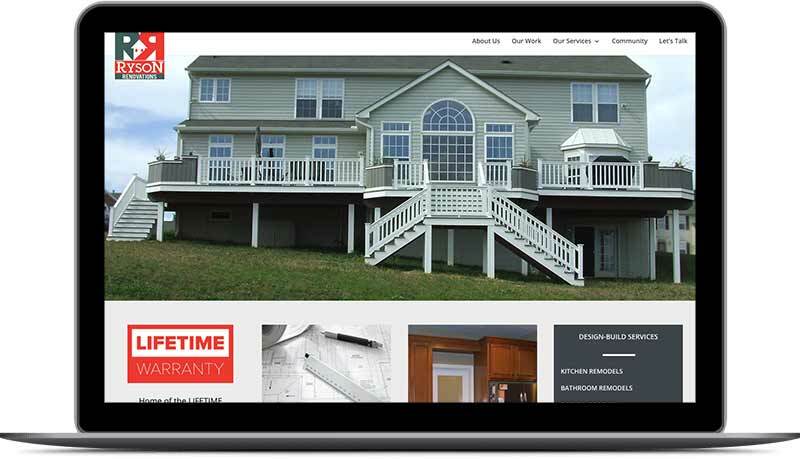 We combine our signature strategy with our proven website archcitecture and apply them to every project and build every page with the user experience as our top priority. Ensure your company is conducting business from your business email accounts. This establishes trust and builds your authority with your customers. Let search engines know who you are and what services you provide. Build your content around the solutions your buyers are seeking in Google, Bing, Yahoo, and more. Let us handle the domain purchasing and hosting. This guarantees your website will have 99.9% uptime and ensures minimum wait times when pages, posts, or new services are added. Let’s take a look at the wide variety of clients that choose Taylor Digital Solutions for their web solutions. We accomplished our goal of creating a strong level of trust between our client and their viewers with an elegant minimalistic style design. 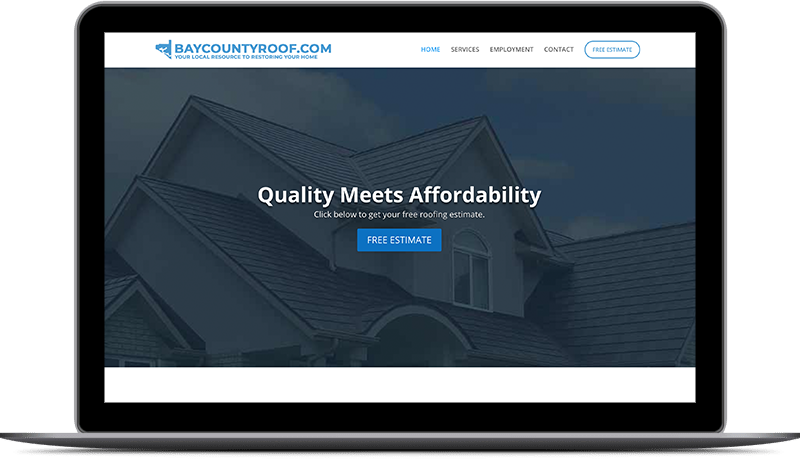 Creating a lead-generating machine with contact forms and sales pipelines ultimately presented Bay County Roof as a leading contractor after Hurricane Michael struck Panama City, FL. Put your custom work on display for all to see! 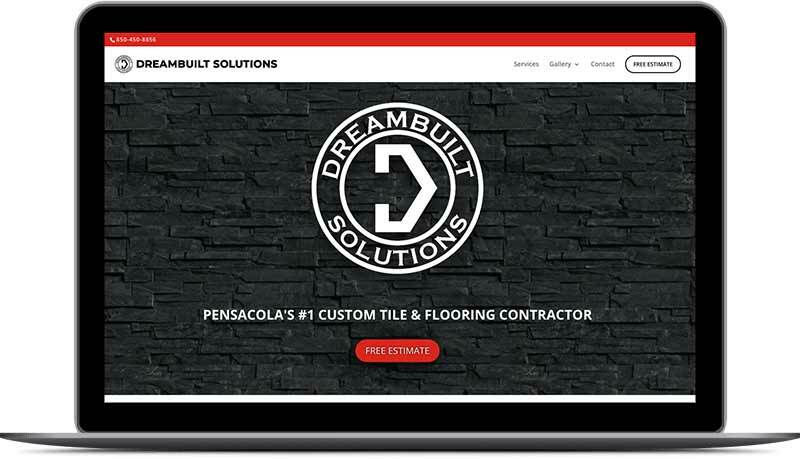 When you’ve got custom tile work as beautiful as Dreambuilt Solutions, then you’ll most definitely want to show it off! 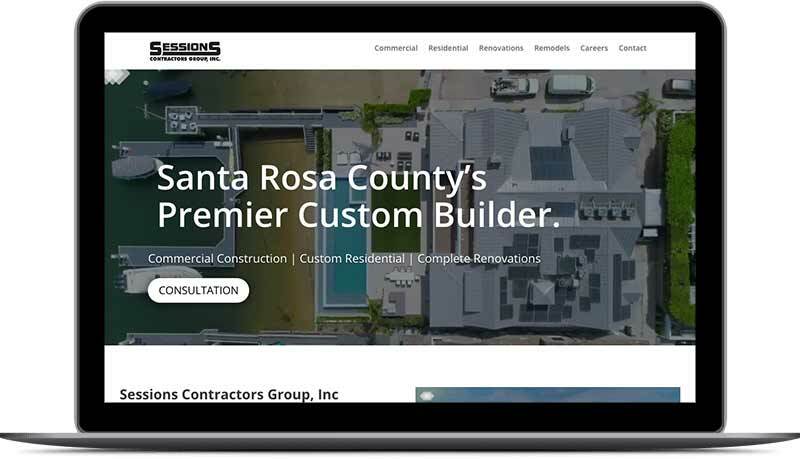 Ryson came to us with a design in mind and we were able to exceed expectations with a quick turnaround as well as additional features built in to ensure Ryson Renovations website served as a great resource for their community. Our mission is to provide all types of digital solutions for small businesses so that they may focus more on their craft and/or services and less on technical roadblocks. Web Clients in FL alone. We create stunning websites that convert. Get more leads for your local business today. 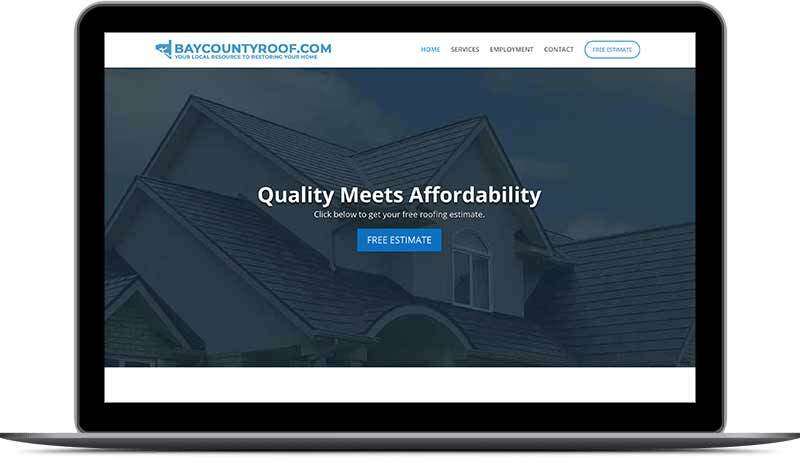 We have designed and built beautiful high-level functioning websites for nonprofits, general contractors, roofing contractors, architects, engineering firms, flooring contractors, barber shops, entertainers, professional drag racers, and more! We combine our signature strategy to every project and build every site with the user experience as our top priority. We understand your industry, patterns of small businesses, and what it takes to build a growing online community in order to center your brand as the authority in your niche. We specialize in creating beautiful web designs centered around functionality and security. Your new website is built to center you as the local authority solving specific problems for those in your community. Taylor Digital Solutions proudly ensures all of our clients great relationships with search engines by focussing on the following: Security, Web Accessibility, SSL Certificates, Sitemap Creation and maintenance, blacklink building, headings, GZip Compression, Marketing Pixel Implementation, Image Optimization and much more. Using our competitor market report, you will then be able to outline your online goals. You’ll understand what services you offer, what you need to offer, and what services your buyers are seeking. Additionally, this information is used to determine what pages and keywords your website needs to target. Logos are great, reports are nice, but your true brand is how clients recognize and talk about your business. It’s time for your online presence to reflect how awesome your business truly is in the real world. Let’s spotlight some testimonials and keep your brand in positive light! Content strategy is built after our initial competitor analysis. Once we see where your company ranks in each of your services we can then prioritize your content needs. After prioritizing, we begin immediately obtaining industry leading content and publishing this content in multiple formats: Videos, Articles, Podcasts, How-To Documents, Static Images and More. Your content should be crafted to educate, inspire, inform, and entertain. Inform your audience about your services and educate them on the problems your business solves. Build this content in an entertaining and inspirational tone and you’ve now created the ultimate sales tool. Taylor Digital Solutions often handles many other aspects of marketing beyond web design. We will be happy to speak to you about Facebook management, YouTube Management, Content Creation, as well as creating better networking tools for your team. It's time to take your brand to the next level. Fill out the form below! Do you need a new website or do you need your current website updated?